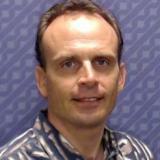 David serves as the Director of Information Assurance Architecture at Hawaiian Electric Company in Honolulu, Hawaii. He is responsible for oversight of security architecture for enterprise IT systems, Industrial Control Systems, and Smart Grid initiatives across five of the Hawaiian Islands. Prior to the director role, David served as a systems engineer for a global automotive manufacturer, where he led efforts to modernize factory floor automation, SCADA systems, and Human Machine Interfaces. David holds a Bachelor of Science degree in Electrical Engineering from the University of Pittsburgh and a MBA from Robert Morris University.